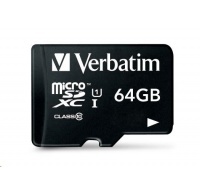 VERBATIM PRO+ micro SDHC class 10/UHS 1 64GB (R:90MB/s, W:80MB/s)Technologie paměťové karty:Micro SecureDigital High Capacity (micro SD HC); Kapacita (v GB):64. 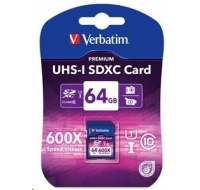 VERBATIM SDXC Memory Card ,Class 10, 64GB , UHS-1, PREMIUM 90MB read/25MB WriteTechnologie paměťové karty:SecureDigital eXtended Capacity (SD XC); Kapacita (v GB):64. VERBATIM SDXC Memory Card, Class 10, 128GB , UHS-1Technologie paměťové karty:SecureDigital eXtended Capacity (SD XC); Kapacita (v GB):128. 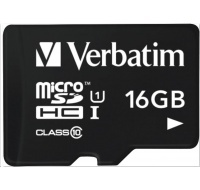 VERBATIM SecureDigital SDHC 16GB Class10Technologie paměťové karty:SecureDigital (SD); Kapacita (v GB):16. 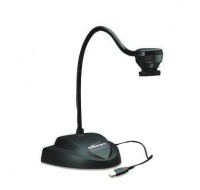 VERBATIM SecureDigital SDHC 32GB Class10Technologie paměťové karty:SecureDigital (SD); Kapacita (v GB):32. 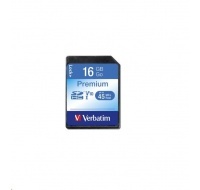 VERBATIM SecureDigital SDHC 8GB Class10Technologie paměťové karty:SecureDigital (SD); Kapacita (v GB):8. VERBATIM Tablet microSDHC C10/U1 with USB reader 16GB (R:45MB/s, W:10MB/s)Technologie paměťové karty:Micro SecureDigital High Capacity (micro SD HC); Kapacita (v GB):16. 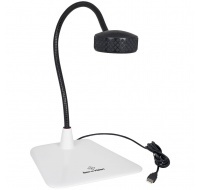 VERBATIM Tablet microSDHC C10/U1 with USB reader 32GB (R:45MB/s, W:10MB/s)Technologie paměťové karty:Micro SecureDigital High Capacity (micro SD HC); Kapacita (v GB):32. VERBATIM Tablet microSDHC C10/U1 with USB reader 64GB (R:70MB/s, W:10MB/s)Technologie paměťové karty:Micro SecureDigital High Capacity (micro SD HC); Kapacita (v GB):64. Vision bezdrôtový HDMI prenášac 7 mTyp příslušenství:Ostatní.